A-HOTEL.com - Luxury and cheap accommodation in Pirogovskiy, Russia. Prices and hotel, apartment booking in Pirogovskiy and surrounding. Offering free WiFi, Hotel Riama is situated in Chelyuskintsy. The property features a 24-hour front desk. Beige Comfort Apartment is situated in Mytishchi. This property is 4. Green Comfort Apartment is an accommodation situated in Mytishchi, 3.5 km from Ice Stadium Mytischi and 10 km from Kva-Kva park, aquapark. Lime Comfort Apartment enjoys a location in Mytishchi, just 3.4 km from Ice Stadium Mytischi and 10 km from Kva-Kva park, aquapark. Blue Comfort Studio is located in Mytishchi. The accommodation is 3. 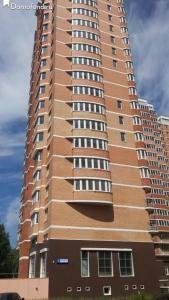 Apartment on Voronina 6 provides accommodation with a kitchen, located in Mytishchi. Free WiFi is offered. Located in Mytishchi, 3.3 km from Ice Stadium Mytischi, Уютная квартира offers air-conditioned accommodation with a terrace and free WiFi. Set in Mytishchi, Apartment on Rozhdestvenskaya features accommodation with a balcony and free WiFi. The property is 3 km from Ice Stadium Mytischi and 11 km from Kva-Kva park, aquapark.